Growing up in a Chinese household, I ate steamed white rice by the buckets. 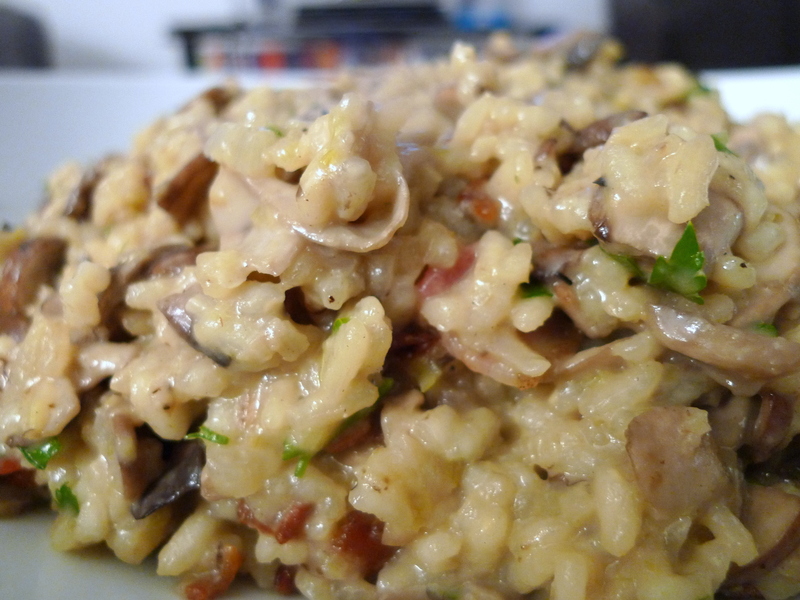 When I had first heard of risotto, the idea of essentially soggy, mushy rice did not sound too appealing. 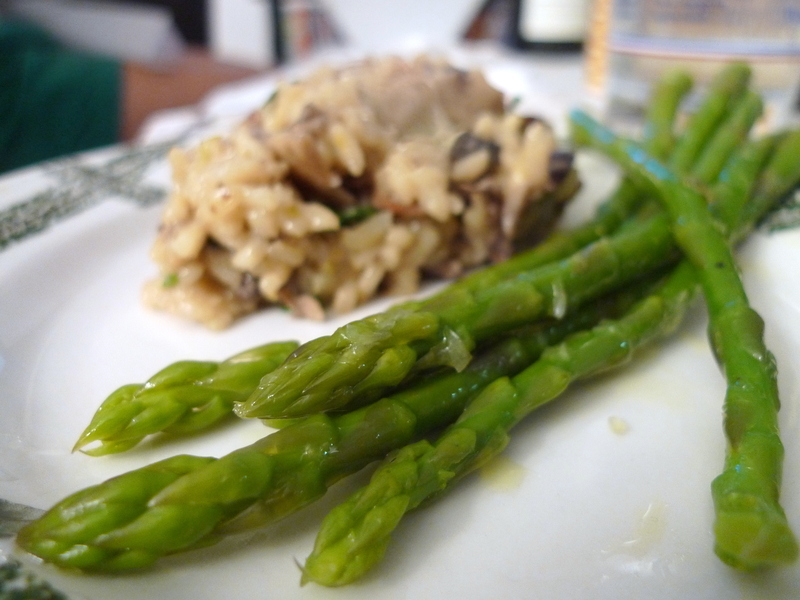 It was not until recently that I tried risotto that I realized I had been missing out! I was preparing a meal for my family and the main dish was Seared Scallops with Chilled Corn Velouté. I was discussing what to cook as complementary dishes with my friend Andrei, who is graduating from Culinary School soon. I was thinking about cooking asparagus with shallots and mushrooms, and perhaps some type of mashed potatoes side dish. He suggested doing a mushroom risotto, which I had never cooked before and had only eaten three times in my entire life. However, since I was already flying blind with the Seared Scallops with Chilled Corn Velouté dish, what was one more culinary experiment to add to the dinner? That’s what family is for — be your guinea pigs for all your kitchen (mis)adventures! 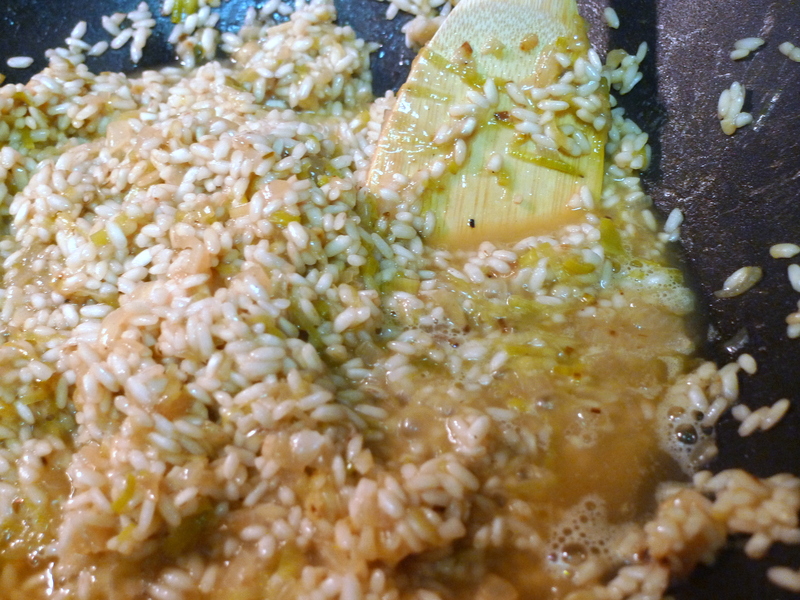 Risotto, which means “little rice” in Italian, is a traditional rice dish cooked with broth and flavored with Parmesan cheese and other ingredients. The proper method to cook risotto is to first toast the rice in olive oil and then add white wine and stir until evaporated. Next, is the long and somewhat tedious process of gradually pouring in hot broth 1/2 C at a time while gently stirring essentially the entire time. Luckily, I had my roommate and mom to alternate so stirring arms never got too tired! I found the recipe below via AllRecipes.com, and Andrei gave me a few modifications (added leeks, onions, and a little garlic). I also threw in some cripsy pancetta at the end, as I had some leftover from the Chilled Corn Velouté garnish. This recipe is time consuming and the constantly stirring requirement doesn’t allow for much multitasking, but the end result is definitely worth it! 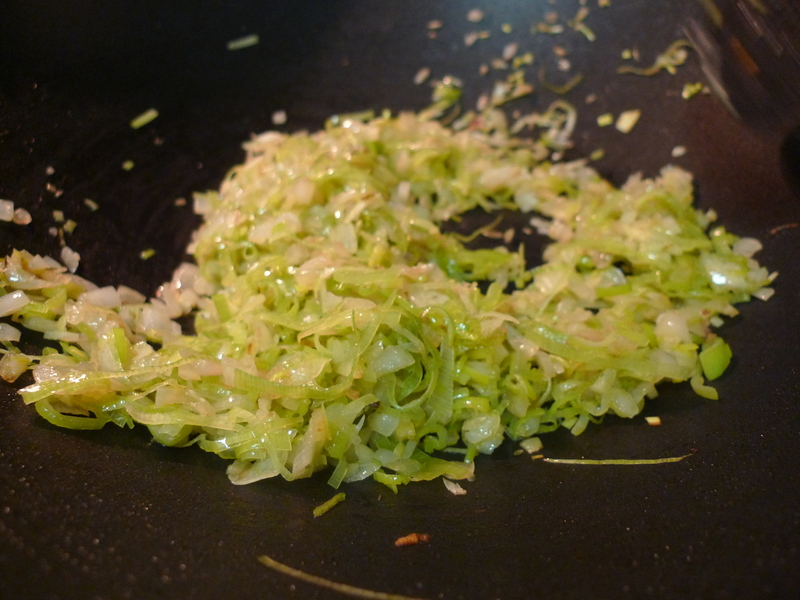 Warm 2 T olive oil in a large skillet or wok over medium-high heat. Stir in the mushrooms and cook until soft, about 3 minutes. 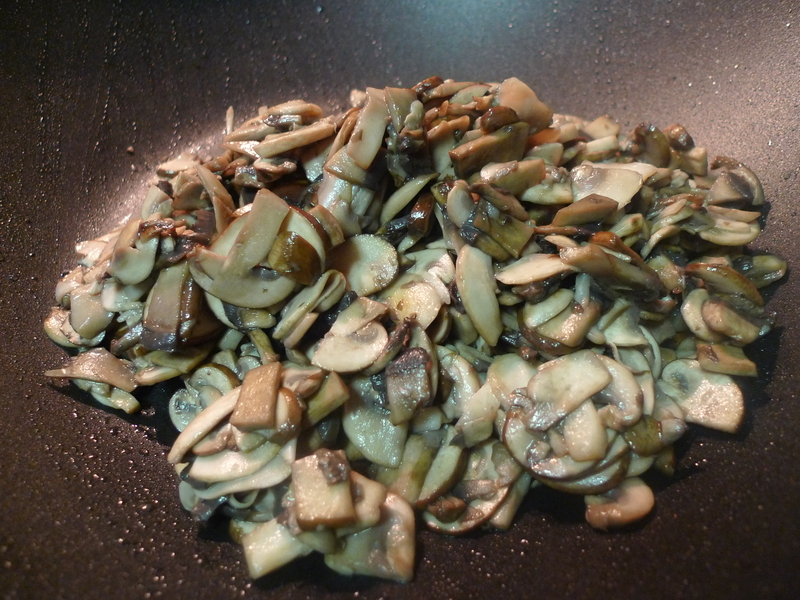 Remove mushrooms with their liquid and set aside. 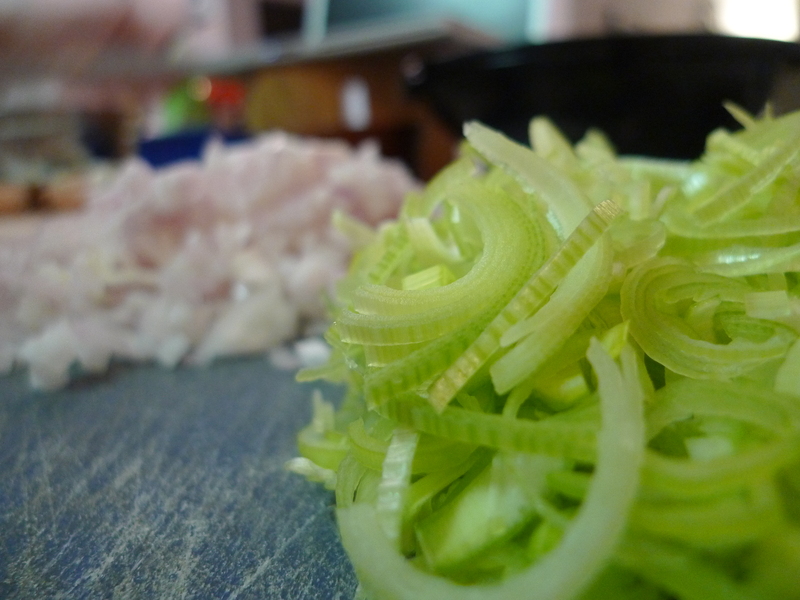 Add 1 T olive oil to the pan and stir in the garlic, leeks, shallots, and onions. Sauté until the onions are translucent, about 1 minute. 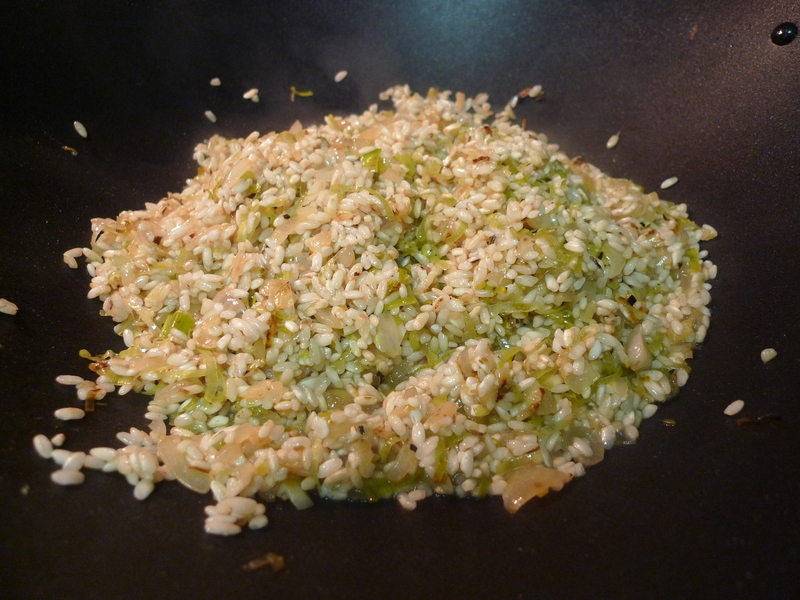 Add rice, stirring to coat with the oil for about 2 minutes. When the rice has taken on a pale, golden color, pour in wine, stirring constantly until the wine is fully absorbed. Add 1/2 C broth to the rice, and stir until the broth is absorbed. Continue adding broth 1/2 C at a time, stirring continuously until the liquid is absorbed and the rice is al dente, about 20 minutes. 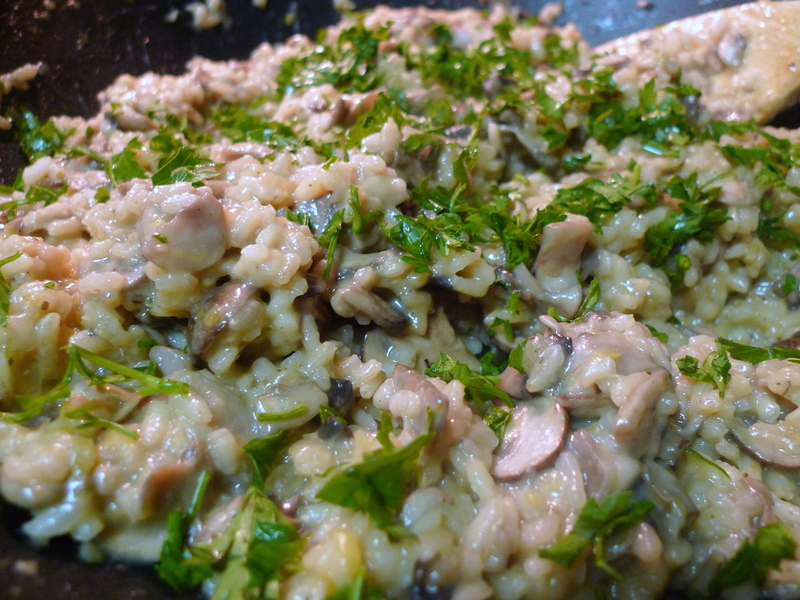 Remove from heat, and stir in mushrooms with their liquid, butter, parsley (or chives), and Parmesan. Season with salt and pepper to taste. 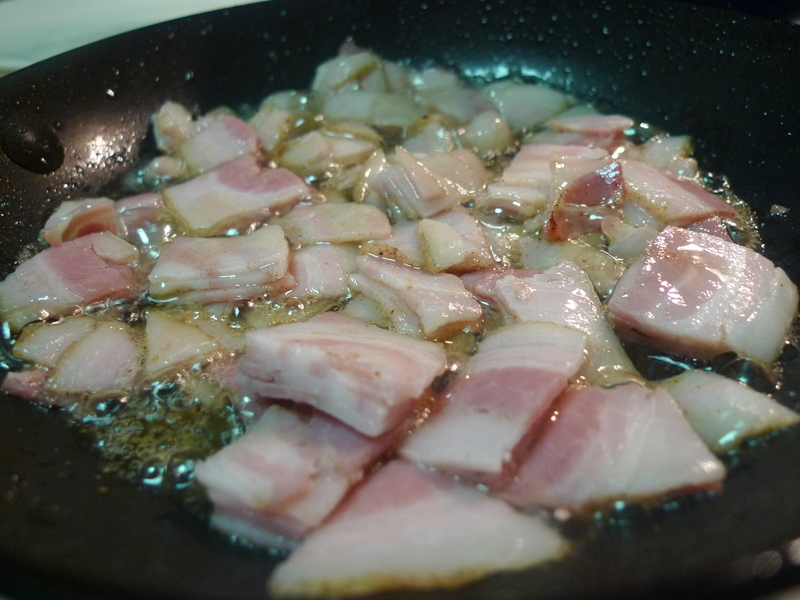 Stir in the fried pancetta (or bacon) pieces into the risotto and enjoy!